This paper is the culmination of decades of research into the phenomenon of aroma-induced sweetness enhancement (AISE). Indeed, food aromas (as in’strawberry smell’) can produce vivid taste alterations (as in ‘sweet’). Imagine the benefits: Reducing caloric sweeteners while maintaining sweetness. The main concern with AISE has always been that the effect may wear off after repeated consumption. The lack of sucrose may get noticed over time. Ethyl hexanoate (HEX) is an odorant produced by apples at advanced ripening stages, when sugars are also synthesised. After adding HEX to apple juice, 45 naive subjects indeed judged the juices sweeter, in line with the amounts of HEX added (left column in the figure). This effect was most pronounced for low-sugar apple juices. 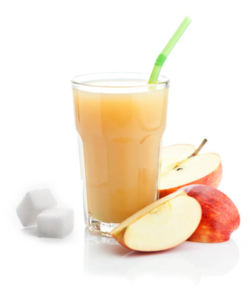 However, AISE collapsed after informing panellists repeatedly on the actual sugar contents of juices (columns 2 and 3). Did subjects acquire the ability to distinguish sugar-induced sweetness from AISE? The answer is no: Over time, during which subjects were not reminded of sucrose contents, AISE did recover (column 4). Apparently, subjects forgot to apply the rule to trade aroma for sweetness. 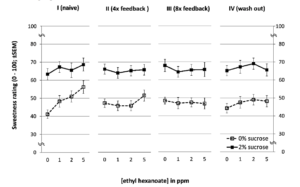 Humans do not acquire the ability to distinguish between aroma-induced sweetness and sucrose-induced sweetness, even after intensive training. Hence, long-term sugar-reduction by AISE is possible in food! The Virtual Emotion Reader project is a collaboration between the companies VicarVision, NIZO and Noldus, co-funded by the Dutch government. The project's main objective? To optimize and validate improved software by FaceReader. The improvement allows more robust facial expression analysis when faces are partially obscured by objects. This happens when hands, cups or cutlery block the camera view of the face. As a result, the FaceReader can be applied in food and cosmetics R&D. 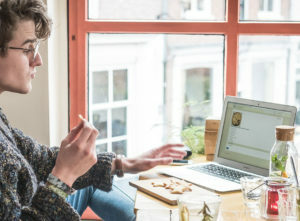 Applegg contributed with the acquisition and analysis of facial expression results in relation to preference ratings in an online cookie tasting experiment. This marked the final validation of the new Facereader technology AND the successful integration of expression analysis with online consumer testing (see also Applegg Online). The final report of the validation study was submitted earlier this month, which concludes the three-year collaboration. Our partner VicarVision, producer of the FaceReader software, shares a sneak preview of the results here. We will keep you updated on new exciting developments in this field of consumer research. An example of this is the use of elementary muscle actions (action unit responses) specific for true hedonic impressions of the evaluated product.